When I was in college, I once heard Naomi Shihab Nye give a reading and remember thinking how confident she was. Not in a loud, overbearing way, but she just stood in her poems so strongly, the way roots go down into the earth and support the large tree branches above it. Her voice had a certain quietness, but each word was spoken with a strength like she knew she had painstakingly chosen every word and placed them on the page just so, and that each word was exactly right. From the first few lines, I'm captivated by the sense of urgency this boy has to "march the trail of flattened rye grass/ back to the house of muttering/ hens." The words are well chosen here. March the trail sounds so much more purposeful than walk the trail. The hens are muttering, not talking. Already, this little scene is so interesting. In this moment, the young boy is not interested in games or running around the yard with friends. Instead, he'd rather cup warm eggs in his hands, an intensely intimate experience. Soft scrambled eggs convey the mood of this poem so well. First of all, these are not ordinary scrambled eggs, and by ordinary I mean the kind that we're all guilty of making or ordering in diners, that are fluffy and spongy and overcooked. I think it's very easy to get used to this kind of egg, and even enjoy it, but I promise you that once you try this variation, you may not want to go back. There will be a mood in the kitchen when you make these. It will be quiet, early morning, and you'll stand over the stove swirling your spatula over and over in the pan. You may not have trampled through tall grass to get there (more likely, you stumbled from the bedroom and down the hall), but the act of preparation is a lingering one, like the boy with the chickens, alone in the coop, listening to what they had to say. The original recipe calls for a ghastly 30 minutes of cooking time, but you can still achieve tender eggs in about 15 minutes. 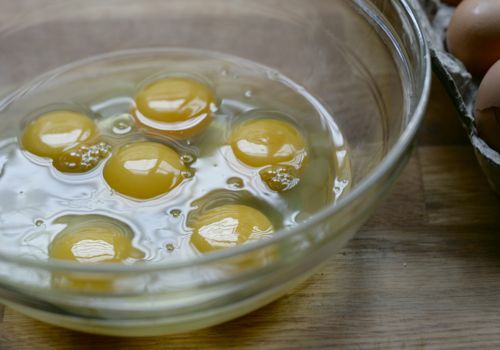 Crack 6 eggs into a bowl and mix them well with a fork; season with salt. Pour them into a 2-quart saucepan set over very low heat and stir with a spatula continuously. 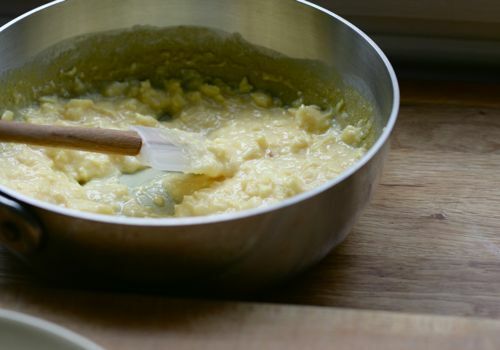 As the eggs cook, add small pats of butter until all has been incorporated. Cook for about 15 minutes, until creamy and nearly set. 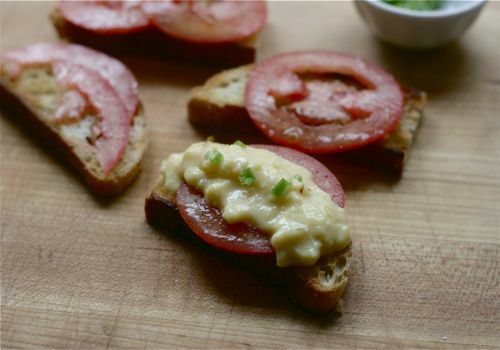 Serve over grilled toast, tomato and finish with a sprinkle of chives.